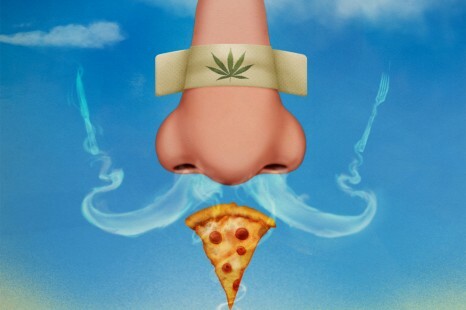 A research team led by Giovanni Marsicano, a Inserm Research Director at Unit 862 (NeuroCentre Magendie, Bordeaux), has succeeded in elucidating how the endocannabinoid system controls food intake through its effects on the perception of smells. These results are due to appear in the journal Nature Neuroscience on 9 February 2014. In animals, as in humans, hunger mechanisms are known to stimulate food intake. Hunger triggers a set of mechanisms that encourage feeding, for example by increasing sensory perceptions such as the sense of smell. The researchers have now succeeded in revealing what links hunger and increased smell perception in the brain, and the resulting urge to eat. 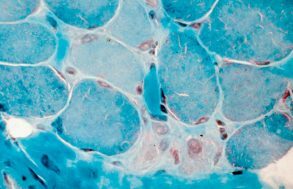 The researchers have discovered how this mechanism is initiated in the endocannabinoid system in mice. This system interconnects receptors located in the brain and involved in different sensations such as euphoria, anxiety, or even pain, that are also sensitive to cannabinoid substances, such as cannabis. The researchers discovered that the CB1 cannabinoid receptors control a circuit that connects the olfactory bulb (the region in the nervous system that initially handles olfactory information, located above the nose) to the olfactory cortex (higher structures of the brain). When the sensation of hunger is felt, it triggers the activity of the cannabinoid receptors, which in turn activate the olfactory circuit, which then becomes more responsive. It is therefore this biological mechanism that brings about the increased sensitivity to smell during hunger, explaining one of the reasons for food intake and attraction to food. The researchers expect that the circuit involved in the olfactory system is altered in obese or anorexic patients, and that sensitivity to smell may be more or less strong compared to normal. Elucidation of the biological mechanism will allow better management of these types of pathologies. This work was funded by ERC (European Research Council). 1. INSERM, U862 NeuroCentre Magendie, Endocannabinoids and Neuroadaptation, Bordeaux, France. 2. University of Bordeaux, NeuroCentre Magendie U862, Bordeaux, France. 3. Department of Biochemistry and Molecular Biology I, School of Biology, Complutense University and CIBERNED, Madrid, Spain. 4. Department of Neurosciences, Faculty of Medicine and Dentistry, University of the Basque Country UPV/EHU, Leioa, Spain. 5. Laboratory for Perception and Memory, Institut Pasteur, Paris, France. 6. CNRS UMR 3571, Paris, France. 7. CNRS UMR 8165, Univ. Paris-Sud, Paris, France. 8. Institute of Physiological Chemistry, University Medical Center of the Johannes Gutenberg University, Mainz, Germany. 9. Institut fuer Physiologie I, Westfaelische Wilhelms-Universitaet, Muenster, Germany. 10. Department of Medical and Surgical Sciences, University of Bologna, Bologna, Italy. 11. 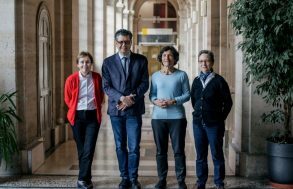 INRA, Nutrition et Neurobiologie Intégrée, UMR 1286, Bordeaux, France. 12. These authors contributed equally to this work. 13. These authors jointly directed this work.